The financials were up by over 1 per cent while selling pressure was witnessed in the IT stocks as the rupee strengthened to Rs 69.89 per US dollar from its previous close of 70.62. 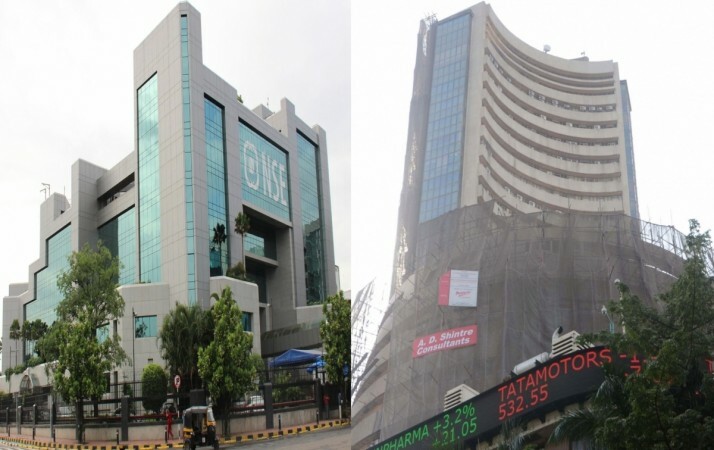 Key equity indices Sensex and Nifty50 surged by over 1 per cent during the afternoon session of trade on Thursday on the back of a strong domestic currency, which gained over 70 paise. The financials were up by over over 1 per cent while selling pressure was witnessed in the IT stocks as the rupee strengthened to Rs 69.89 per US dollar from its previous close of 70.62. The Brent crude oil prices also declined to $58.87 a barrel. "In its earlier meetings the Fed had a hawkish stance, which meant that they could be going for a rate hike every quarter ...but now the Fed seems more flexible, clear from its dovish remarks which has hurt the dollar," Anindya Banerjee, Deputy Vice President for Currency and Interest Rates with Kotak Securities, told IANS. "This is partly the reason the rupee has gained strength against the US dollar, also a constant decline in the global crude oil prices have aided the rupee's gains." At 1.48 p.m., the Sensex traded 397.85 points higher at 36,114.80 from its previous close of 35,716.95. The benchmark index touched a high of 36,139.92 and a low of 35,946.24 while the NSE's Nifty50 traded 106.40 points higher at 10,835.25.